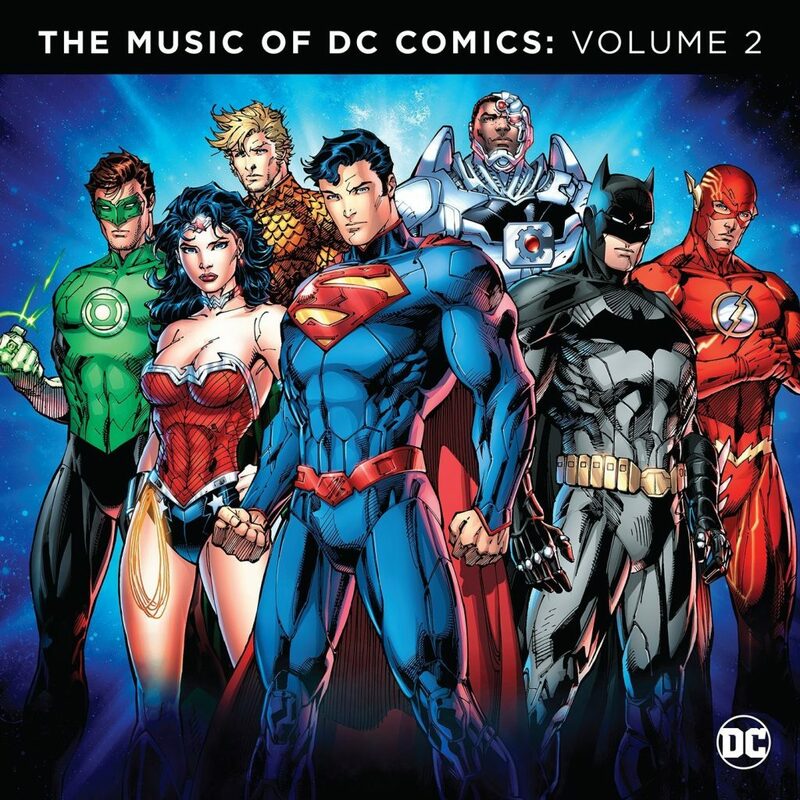 ‘The Music of DC Comics: Volume 2’ is AWESOME! If you love superhero soundtracks and themes from your favorite TV shows and film that have superheroes in them, than this soundtrack is for you. WaterTower Music and DC are releasing the Volume 2 of their ‘Music of DC Comics‘ next month with 29 tracks. John Williams, Hans Zimmer, Danny Elfman, and Junkie XL are featured on the soundtrack. Hell, even Mark Hamill is on there too. I can’t wait for this to come out. You can pre-order the CD or MP3 now. I just wish there was a vinyl version of this for those old radio themes. Hopefully soon, they’ll release it on vinyl. Below is the official press release and information with track listing. Get super and get this album. WaterTower Music announced today the July 15, 2016 release of The Music of DC Comics: Volume 2 on CD and Digital formats, with Double Vinyl coming soon. A follow-up companion piece to 2010’s critically acclaimed The Music of DC Comics: 75th Anniversary Collection, Volume 2 of the series continues to celebrate the rich musical history of DC Comics. A must-have for fans, this compilation features recordings from 1940 to 2016 from a variety of DC Comics movies, television shows, animated series, video games, and radio shows. Containing over 60 minutes of music, the album features John Williams, Hans Zimmer, Danny Elfman, Junkie XL, Sun Ra, Shirley Walker, and Mark Hamill, among others. It includes 11 never-before-released recordings from the DC Archive, such as the themes and narration from 1949’s Columbia Pictures serial Batman and Robin, 1958’s The Adventures of Superpup, 1978’s Challenge of the Superfriends and ‘The Ballad of Batman’ from 2002’s Batman The Brave And The Bold. Additional unreleased music includes themes from 2015’s “Supergirl” and 2016’s “DC’s Legends of Tomorrow”, both of which were produced by composer Blake Neely specifically for this album. The full 3 minute version of “Get Your Cape On” from 2015’s DC Superhero Girls is included along with “Penguin Makes Moves”, the first commercial musical release from 2015’s Gotham. 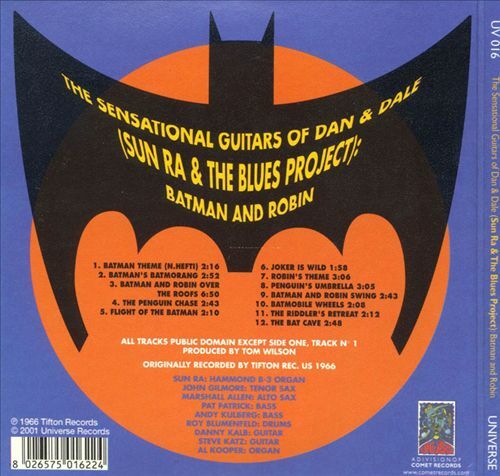 This album also features 3 tracks from Sun Ra & The Blues Project that have been out of print since the 1960’s. It is a collection for DC Comics fans, created by a DC Comics fan – Executive Album Producer Peter Axelrad produced both this album and “The Music of DC Comics: 75th Anniversary Collection. “DC Comics has an amazingly rich history of characters and stories that continually evolve to adapt to changes in society,” offered Axelrad. “In curating this collection, it was a great pleasure to dive back into the musical archives and examine how music has progressed and morphed along with the characters through the development of new musical genres over seven decades.” Axelrad is the Director of Music Finance for Warner Bros. Entertainment, a professional DJ and music producer, and describes himself as an accomplished and long-time comic book nerd. Media-Ocrity #6 – DC Comics, Wonder Woman, and The 7th Gate of Hell! The Official Title Is ‘Batman v Superman: Dawn of Justice’!! This entry was posted on Monday, June 27th, 2016 at 10:27 am	and is filed under Comics, Music, News. You can follow any responses to this entry through the RSS 2.0 feed. You can skip to the end and leave a response. Pinging is currently not allowed. « Jason Statham Is Back In ‘Mechanic: Resurrection’!!! That's Luigi and Gina's son Christopher, the Banker.